A spokesperson said, “When we are serious with where we want to go in life, we have to be serious about where we currently are. We have to be serious about allowing God’s power to manifest in our lives so that we can be completely authentic to our calling. “We are made in His likeness and He is the Great I Am; therefore, we have to declare those things that we are and rebuke those things that we are not. “The sub-headings of each chapter of this book are intentional declarations of ‘I Am’ for you to meditate on and apply to your life. 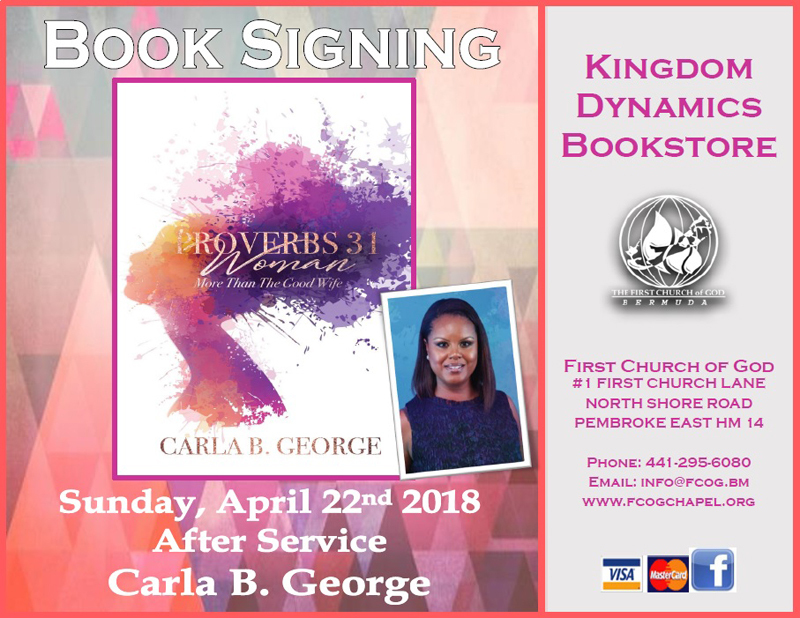 I examine each verse of the Proverbs 31 Woman, beginning with verse 10, and ending with verse 31, from a unique perspective concerning the modern-day woman. “Carla George is the founder of the Date Night! Series and has a passion for building solid Godly marriages to build strong families and communities. She does this by bringing together and hosting couples on community date nights. In her island home of Bermuda she has served on many government boards as well as serving in several capacities in her church, Mt Zion AME Church. “She has served as a Steward for over 10 years and also heads up the Visual Ministry. She has spent over 15 years in the corporate world in insurance and as a lawyer. She and her husband of two years, a gift from God, Marcus [DJ Chubb] George reside in Bermuda with their boxer dog Café, but are citizens of the world with their love for travel and people!